As described here I set out to quilt, bind and embellish my Anniv. Story Quilt for my Jan. ALYofF goal. Here it is, finished & hung in it's new home on a wall in our Master Bedroom. These are original wedding rings. We both love that they are a part of the quilt. "Our Song" is Together Forever by Rick Astley. I had fun quilting all those little music notes. I used Purple Chimp Print & Iron Cotton Fabric Sheets and literally copied our original cassette tape! I was able to just iron the "cassette tape" right onto the quilt. I used iron-on letters for the words. Having grown up in Arizona, we loved our sunset picnics. I had fun quilting swirls in a variegated thread on the the sun. Our picnic basket, filled with champagne, port-wine cheese, and those ol' big jugs of cheap wine was a staple item in my husband's Nissan King Cab. I quilted "Bubby", "Wine" and "Picnic" on these. I also like the "floppy" red checkered tablecloth peeking out of the basket. (We still have this picnic basket and that is a champagne cork saved from one of our first dates!!) I quilted the bed of the truck in hopes to add some density and dimension. My favorite: quilted and button hearts dancing out of the tail pipe. I also quilted hearts on the bumper! The tires: I quilted a 1/4 inch spiral and found these cute metal pieces in my "left-over" scrapbooking supplies! I love that they say: happiness and friendship. Many thread changes later, this is definitely a "lovely finish" for me! I love that it now hangs in our master bedroom, behind our favorite cozy chair that often finds me cuddled up, making hexagons, watching TV or quietly reading a book. And yes, my quilt finish pictures never seem complete without Jackson lately. I just realized she was three years old this past Christmas. I especially love her touch panel and array of decorative stitches as used here. There's really nothing I don't like about her. Note: I do not quilt on her. So this has worked perfectly for me when it comes to piecing. My choice of purchase was also influenced by these factors: I wanted to be able to get it easily cleaned and serviced, repaired if needed and take classes to learn more about using it. So I bought from our local sewing machine store. PS: I gave my co-worker my blog address so she can read your comments and guidance. Our kindergarten teacher at school is having a baby in March. I've decided for this project I'm going to let my right brain take over and really do some "out of the box" piecing! Yep! You'll find me just "playing" on these Scrappy Saturdays this year and I'm enjoying sharing my creative process with you. Out of all the projects I have planned this year, I already know this one is going to be my favorite! And so far, this challenge has provided just the amount play I've needed in my life. I love that I was not only able to use scraps from my daughter's picnic quilt, but I spontaneously found myself incorporating pieces of their old denim jeans from when they were young. You can check out that post here. I'm thinking of creating a neighborhood of sorts...but we'll see how things evolve. I am so inspired by everyone's work so far in the RSC and am grateful to all who stop by. Happy blue scrappy fun everyone! PS: Click HERE for my Grow Your Blog Give-Away. If you're already a regular around here, I'm happy you stopped by. 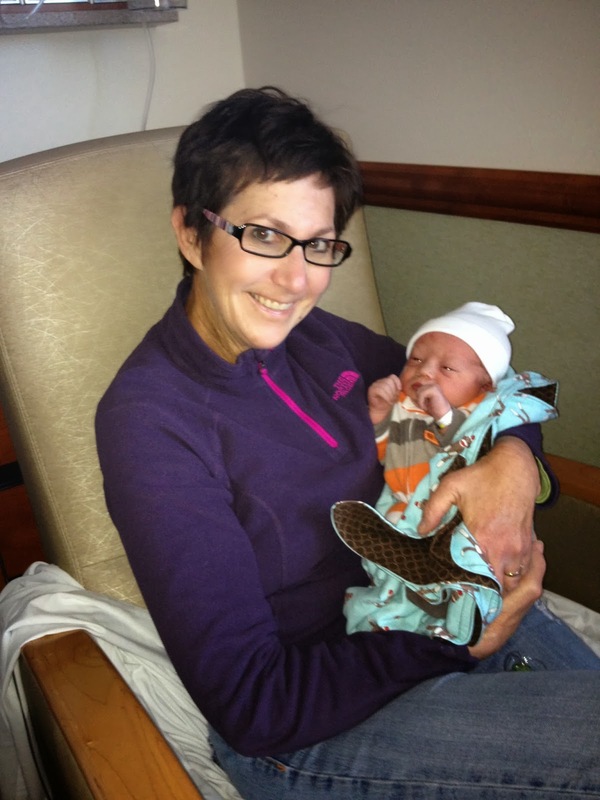 If you are new to my blog, well Hello! I'm Val and that's my little "selfy" pic over on the right. This is a quilting/sewing hobby blog. By day, I'm a veteran teacher, to a class of energetic Second Graders in Oregon, (USA). I started quilting in the Fall of 2009 and blogging last summer to document my projects and growth as a quilter. (So it's safe to say I'm still pretty new to all of this). With that said, I'm so grateful for this event and the opportunity to network and meet others of like interests. There's almost 600 bloggers in this meet and greet party. Crazy amazing! I have found blogging to very motivating in my completion of projects and love the "virtual quilting guild" it has created for me. I enjoy linky parties and blog hops and find the inspiration and support received from fellow bloggers to be priceless. 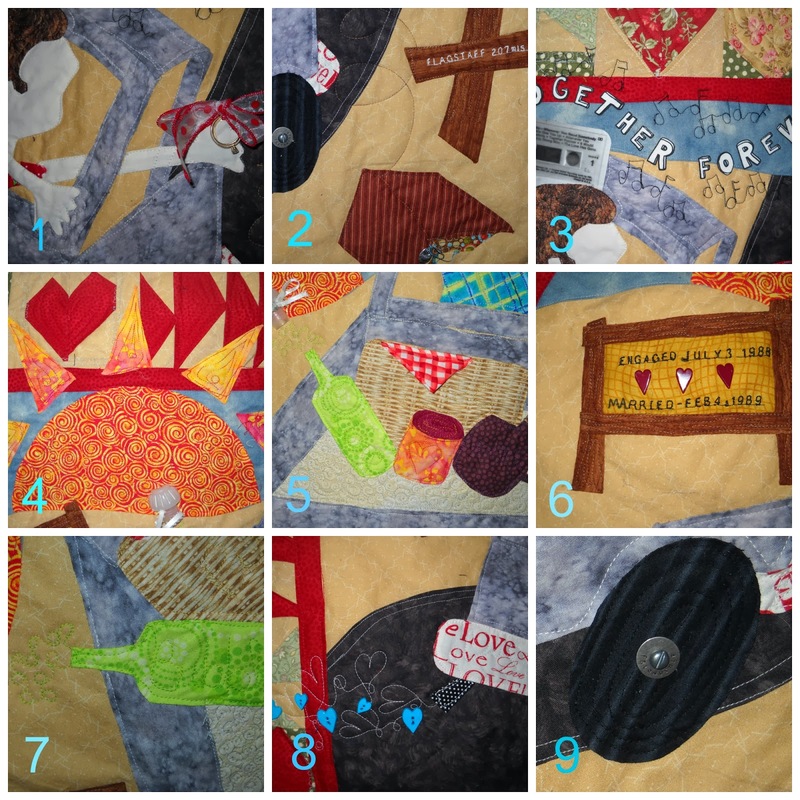 Quilting and blogging are a way for me to truly play with my creative side! Feel welcome to check out my "pages" at the top of the blog and/or my "labels" over on the right. Maybe something will spark your interest! If so, become a "follower" and I can return the visit and follow your blog as well. I look forward to meeting you. This Give-Away is closed. The winner was announced here. Everyone has two chances to win this little kit to make a spectacle case. Second, just for fun: comment with a quilting acronym. IE: WIP: Work In Progress. Try to make it a new one..but if you can't think of one, comment with your most used abbreviation. (LOL: Laugh Out Loud...would be mine!) I'm still learning the quilting "language" myself, so thanks for the help. I'm going to put these together in a February 15th post, when I'll also announce the give-away winner. (So be sure to return to see the collection). I'm glad ya stopped by! FYI: I'll choose the winners using Mr. Random Number Generator. 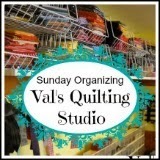 I will announce the winner and highlight their blog here at Val's Quilting Studio on February 15th. I will also email the winner, so make sure you are not a no-reply blogger. Everyone is welcome to enter as I'm happy to post internationally. Good Luck! I hope ya enjoy this meet and greet event! I'm not able to frequent quilt stores very often. So this is perfect for me! I have never been disappointed. My daughters Picnic Quilt was actually made from my Yellow and Blue Monthly deliveries! I looked on the salvage and they are part of the Scrumptious Line by Bonnie & Camille for Moda. I have no idea what I'm going to do with them...but I love them! Any suggestions for a quick and easy quilt top?? to use in my applique work. (My picture does NOT do them justice! Please check out her ETSY shop to see them at their best.) I love their variegation of tones. I'm really excited to incorporate these into my wool play this year!!! I do apologize for my poor quality of pictures this post. I was a little frustrated myself and went through many pictures...but you know the weather we are having.... and it's already evening...well...just thanks for being cool about it! I love getting my monthly fat quarters in the mail and just had to share!!! and I get one more day of the "weekend". And finally, I saved this long standing WIP from being sent to the scrap basket. I sat myself down at the sewing machine with the resolve to finish! I chain pieced wonky star-log cabin blocks all afternoon yesterday. Andddd...this will continue to a WIP for a bit longer because I discovered that 24 of the blocks need one more layer of piecing in order to grow into 12 1/2" squares. This top is sewn with the same fabric I made my Scrappy Bed Quilt and is being made for our second guest room, both rooms being decorative in a primitive style kind of way. 1. Quilt our anniv. quilt for my Jan. ALYof Finishes. Prepare binding and be set to use the weekday evenings to applique finishing touches. ( Quilting half way done...I may have done a bit more puttering than anticipated today...haha!). So this is what I will continue to work on this week after work, before dinner. 2. Cut strips for my wonky star blocks, (Done!) Now I can chain piece whenever I have dabbles of time in-between everything else. Yep! It's been easy to stay inside and spend all my extra time sewing. 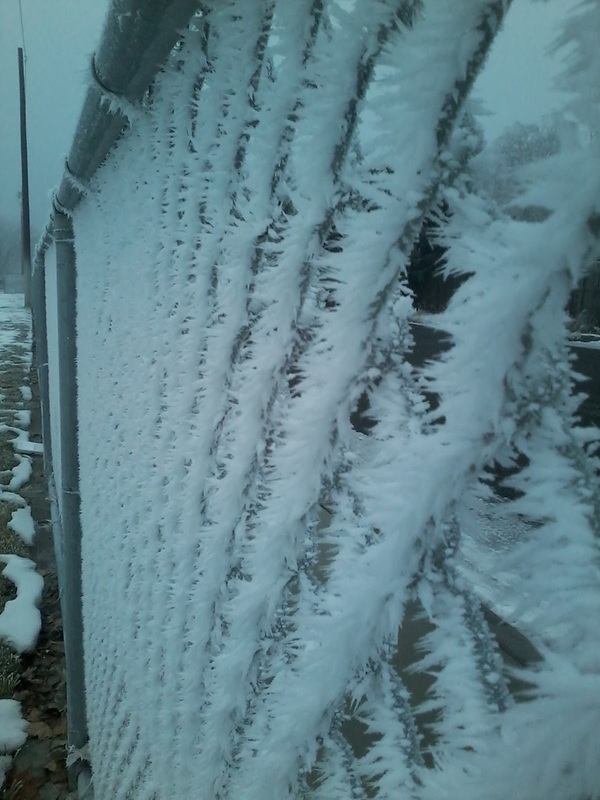 The fog that rolled in Thursday night, has turned into an inversion of freezing fog. This is a picture of my basement studio lite up at night. (I love the reflection of the light on the snow.) Now just imagine me in my polka dot pajamas, Lifetime movies on in the background, just busy as a bee sewing away down there. It's like my own little retreat! I say: "Let it freeze"! Click here to see what I got done. I also had in my stash, another pair of denim jeans from our oldest daughter. Working with the denim against the cotton was "heavy". But with a little cutting, and resewing, I was able to create an adorable roof top for the "denim" girl's house. I love that a little bit of each of our girl's childhood has been incorporated into these blocks. What a wonderful way to preserve memories. I guarantee each daughter will immediately recognize their jeans and be sent down a happy memory lane! I'm off to check out your progress. Whew! 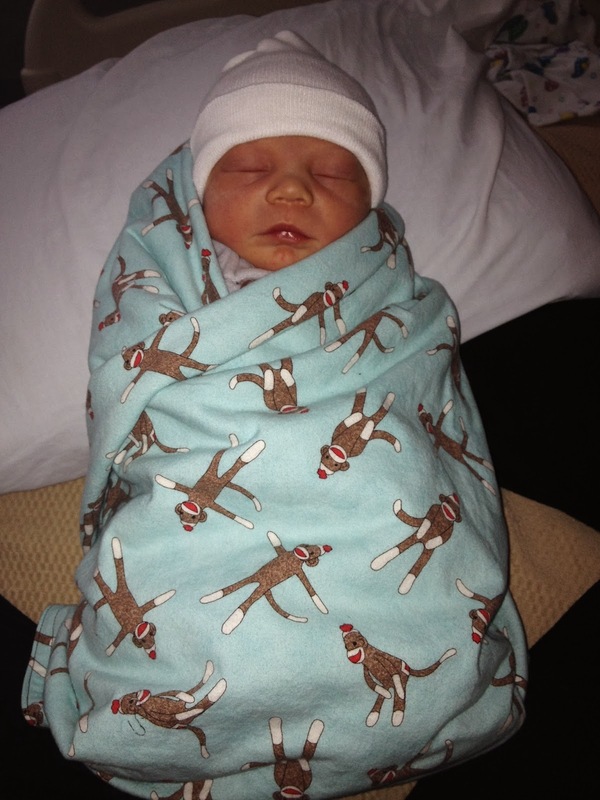 Jackson is proud to exclaim: "Hey guys check out the quilt my mom finished." Especially since I started this picnic quilt in September with my daughter and it has literally been and off the quilt frame three times!!! Sometimes, it's so weird to think about how a quilt starts. My youngest daughter was home on summer break and she wanted me to make her a quilt to go with her new picnic basket!! Then it turned into she wants to learn how to sew! (OMG! Do you hear the hark angels singing...is THAT not a quilters dream: to have their daughter WANT to learn to quilt.) Well, she soon returned to school and I was left to complete the quilt (I'm okay. Really I am. LOL!) We really did have a lot of fun! And she's such a natural when it comes to picking and combining fabrics. I love that this quilt is filled with all those summer memories. Wishing everyone a wonderful Friday! I skipped the treadmill this morning, poured a cup of coffee, and completed a side of binding instead! I'm working towards a Friday Finish. "I think I can, I think I can." Stop by tomorrow to see my daughter's picnic quilt finished! Hope your day is off to a great start as well. This little sampler measures 12" x 20". I need to make more sampler quilts as this was fun!! to engage in an activity for enjoyment and recreation rather than a serious or practical purpose. Synonyms: amuse oneself, entertain oneself, enjoy oneself, have fun. Looks like I'm off to a good start as I made this little sampler over the weekend and realized that I truly got caught up in "playing" when my husband came home from work Sunday and said: "You still playing with that thing?" This little sampler represents everything I want to incorporate into my quilts this year: perle cotton, wool, ribbon, "made fabric", scraps, creative stitching, charms, long-arm quilting, fun binding, dimensional pieces, 3-D flowers. I'm sure there will be more, but ya get the picture. So what do you find yourself wanting to play with as you quilt this year? For more "word" inspiration, click this "share" picture. 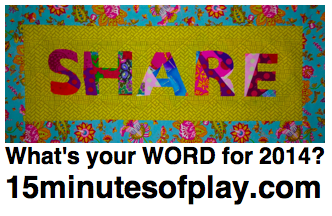 Curious if you have a "word" this year? Is so, do share! It's been awhile since I created a Sunday Organizing post. Yet last night as I proceeded to pin my word of the year sampler quilt, I smiled in reflection of my use of old "pill bottles". They really do make the perfect safety pin holder... safe and secure from children and easy to throw in your sewing bag. I also found my childhood needles stored in an empty staple box. Comment to share your nifty safety pin storage idea. I've been having fun with my blue scraps. Thinking of creating another house today for my " blue" neighborhood. Off to see what everyone else is up to at: RSC14.